The following list of ascension symptoms and comments comes from Karen Bishop, from a piece excerpted from her book The Ascension Primer. Karen had graciously offered the full excerpt in PDF form, which at one time could be downloaded from the internet free of charge. However, I’m unable to find that PDF posted anywhere at this time, not even on her new site at Gamma Books. Feeling as though you are in a pressure cooker or in intense energy; feeling stress. [KS: I have always been extremely sensitive to different energies, and crying at commercials, films, watching others interact in loving ways, has been common throughout my life. I’ve taken a fair amount of teasing and occasionally been admonished for this behavior, so I understand it and have compassion for it. It’s a wonderful thing to see so many hearts opening up, feeling love and compassion so deeply that their emotions are engaged to such a degree. During certain phases of ascension our bodies suddenly decide that they are going to burn off the lower and denser aspects of ourselves. You may wake up in the night soaking wet or become very hot during the day. It may be 35 degrees outside, but you are just fine and dandy in your short sleeves. [KS: Sitting or lying down, along with grounding and circular breathing through such periods is also extremely helpful. Gritty eyes and blurred vision. [KS: Friends have reported experiencing this symptom, followed a marked improvement in vision. I’ve experienced a moderate but appreciated improvement in my own vision. This symptom continues for me, and I’m looking forward to greater improvements! [KS: When this happened to me, I had just sat down at my computer and I couldn’t remember how to use the keyboard. I sat there looking at like it was an alien thing. Eventually I remembered that it was supposed to somehow get information from my brain into the computer, but I didn’t know how to go about it. At some point I recall thinking “This is ridiculous, I know that I know how to use this thing!” so I put my hands over the keys and tried to make them move. My fingers felt like big sausages, heavy and stiff. All my mental efforts to make them do something was to no avail. Fortunately I knew enough not to panic, and the feeling passed after a few (long!) minutes, but it was profoundly strange while it was happening. [KS: Again, grounding and circular breathing through such periods is extremely helpful. 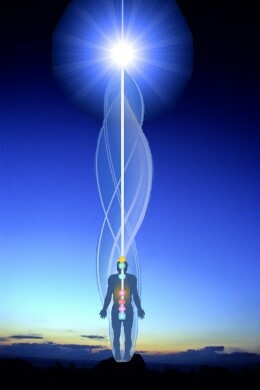 This ascension process is about being IN the physical body and assisting the body in its journey into higher vibrational frequencies. So continuing to stay grounded in the body and grounded to the Earth cannot be stressed enough. [KS: Many of our multidimensional capabilities are coming back online – clairaudience, clairvoyance, clairsentience, etc. – so these are some of the more energizing and exciting changes to experience! Feeling as though you are looking down a long tunnel in order to connect to lower vibrations; feeling as though you are acting or pretending.